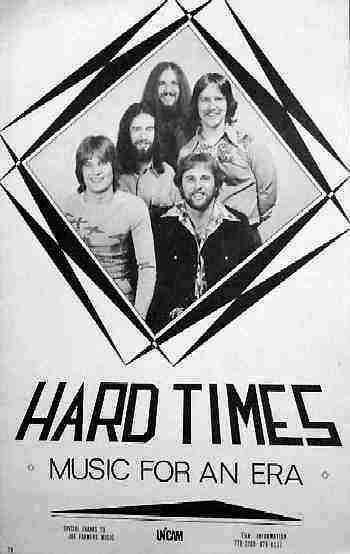 Hardtimes started in 1974 out of a group of folks who worked at Joe Farmer Music in Burien, Washington. They played a lot of high school gigs, and ended up playing at the Paramount for the KZOK Summer Thank You Concert series. 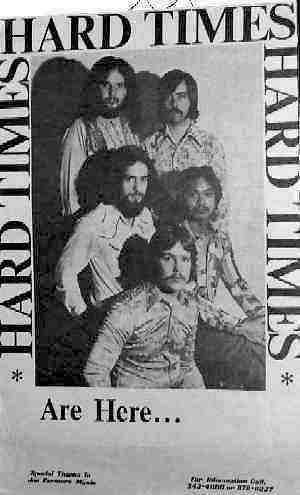 I left after six years and the band kept going into the early '80's before they expired. Sean Denton was a late addition but was one of the best vocalists for the band to date. He also played guitar. He later on started the band the Pop Mechanix.